Nicola White, Lily White, Jan Pink and Rosie White at their cake stall outside Co-operative Funeralcare yesterday. Real dedication to fund-raising was shown at The Co-operative Funeralcare in Uckfield High Street yesterday. Members of staff, with help from family, were running a cake stall outside their office to raise funds for Raystede animal charity and they didn’t have a scrap of shade as the sun beat down. 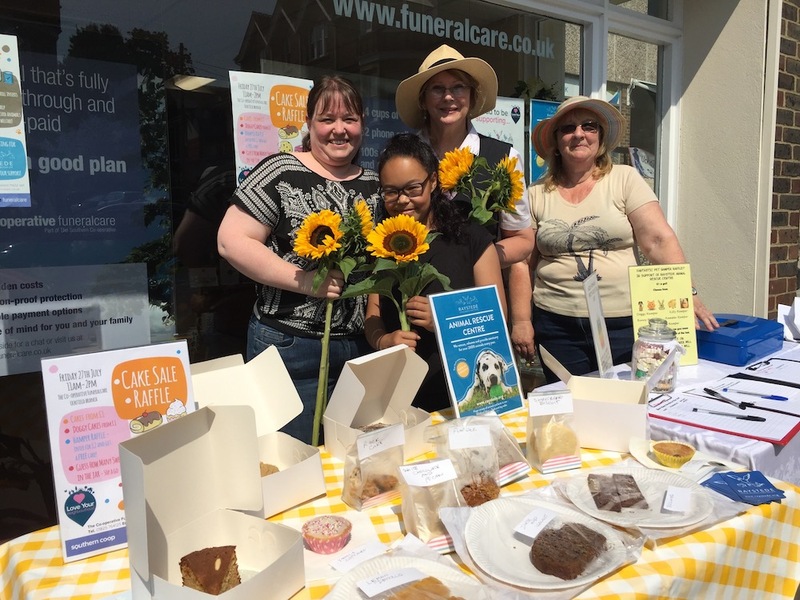 Funeral co-ordinators Nicola White and Jan Pink were supported by Nicola’s mother Rosie – who made all the cakes, biscuits, and dog treats – and Nicola’s daughter Lily, 12, who was chief taster, even for the dog biscuits. 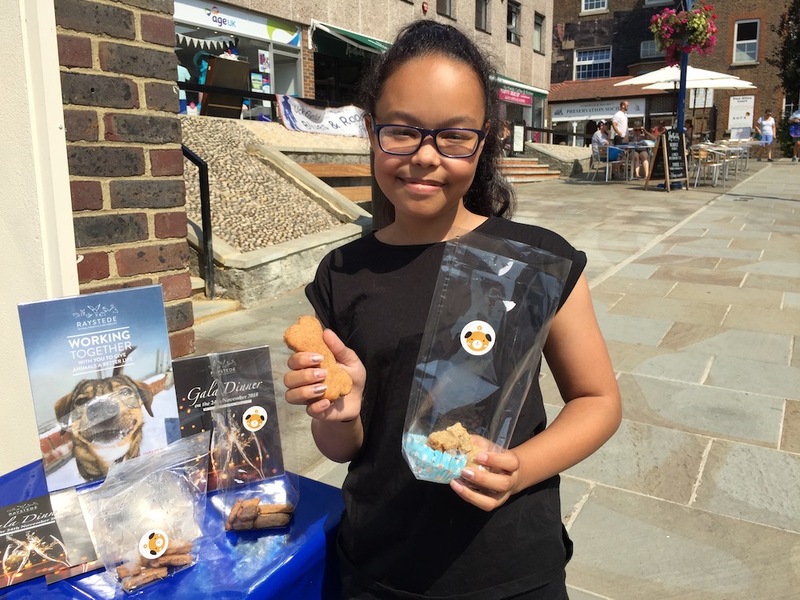 Lily White, 12, with some of the dog biscuits being sold at a stall outside The Co-operative Funeralcare, Uckfield, yesterday. It was so hot that only a few cakes were displayed outside, the remainder stayed in the air-conditioned office. A hamper was also raffled to boost fund-raising and people were able to guess how many sweets there were in a jar. 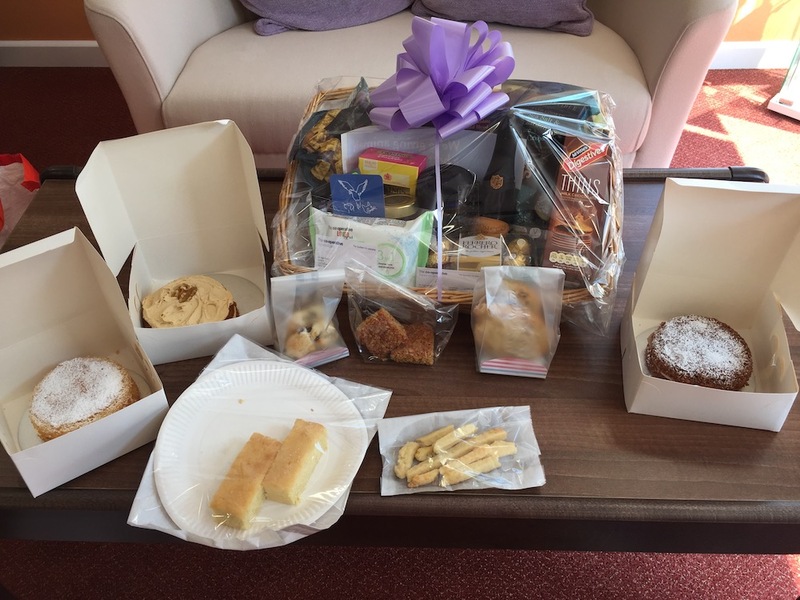 The hamper being raffled to raise funds for Raystede and a few of the cakes being kept cool in the air-conditioned Co-operative Funeralcare office ready to be sold at a stall outside. • Contact details for The Co-operative Funeralcare can be found 24/7 in their premium listing in our Uckfield Directory. Look for the name or search in categories for Bereavement, Funeral Care, or Funeral Directors.